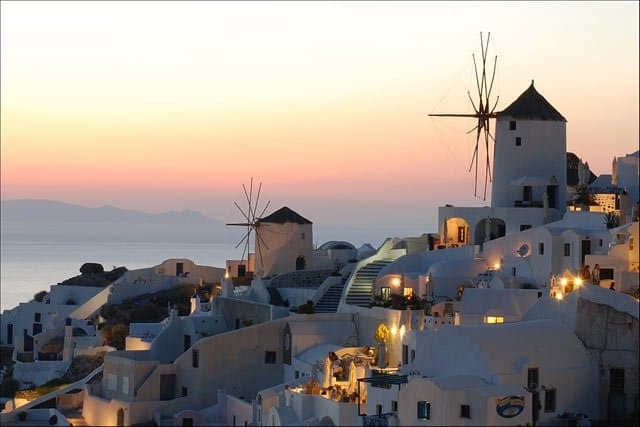 Santorini is one of the Cyclades islands nestled in the Aegean Sea. This is without a doubt one of the most beautiful and romantic islands in the world. Spectacular sunsets, traditional whitewashed houses and the breathtaking sights of the ocean is what makes this island so special. Head to Oia for the iconic village of pastel-washed houses hugging the cliff-face. The majority of shops selling postcards in Greece will have photographs from Santorini and once you visit you’ll realize why this is Greek place is so cherished. 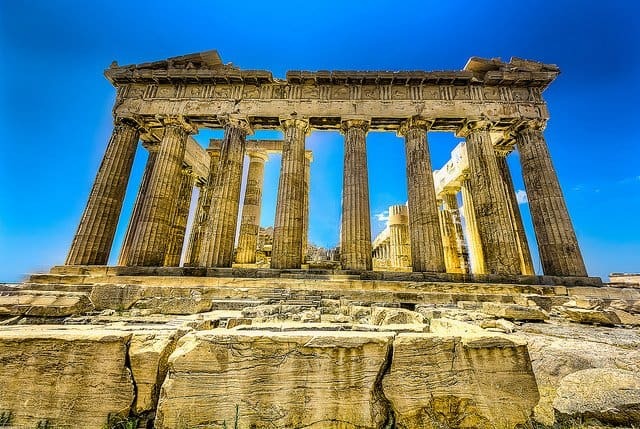 There are many breath-taking historical sites to explore in Greece but this world-famous Greek destination is considered to be the most important surviving building of Classical Greece. Found in the centre of the Greece capital Athens, it’s ruins of an ancient temple on the Athenian Acropolis dedicated to the maiden goddess Athena and built for a couple of decades starting 447BC. This island stands out as one of the most beautiful in the Aegean region and makes a fantastic destination to explore in Greece. 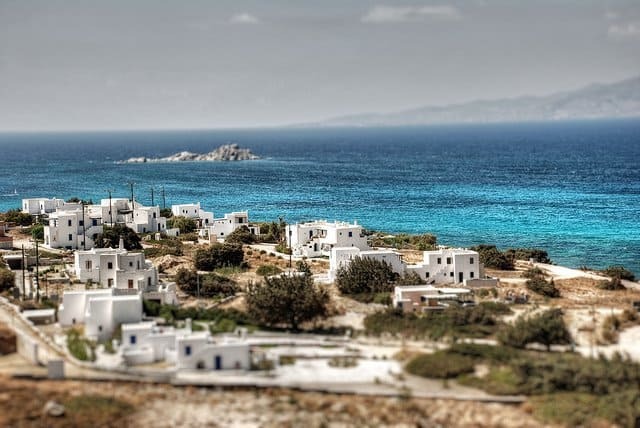 Belonging to the Cyclades group in the Aegean Sea, although Mykonos is a popular party island there is still plenty of natural and traditional beauty on offer. 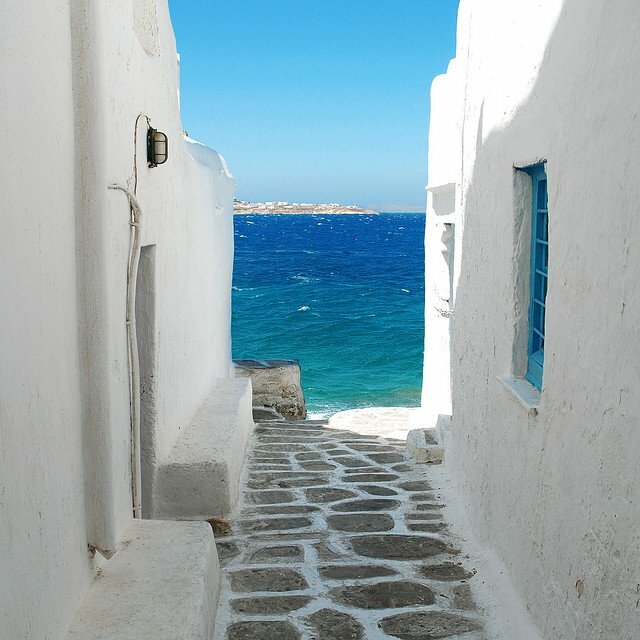 Mykonos has a collection of unique Cycladic architecture set around a picturesque fishing-village bay. The square whitewashed buildings sit closely together forming a maze of narrow alleyways and streets and are highly photogenic. The island’s beautiful beaches also make a perfect backdrop to watch the sunset. 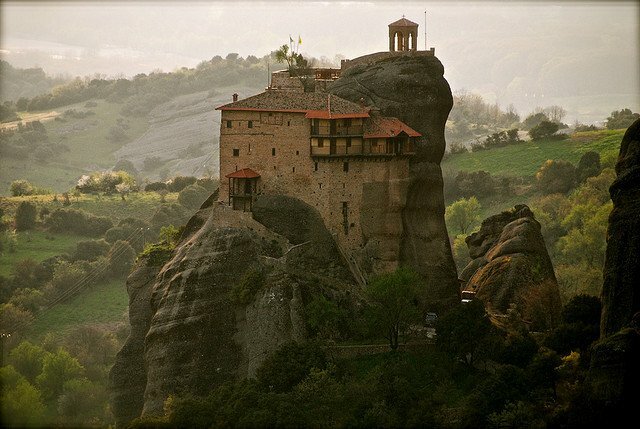 Found in central Greece, this striking and unusual rock formation is home to a monastery founded in the 14th century and now has UNESCO World Heritage site status. The complex of six monasteries are built precariously perched atop 1,300 feet high sandstone pinnacles, at the northwestern edge of the Plain of Thessaly near the beautiful Pineios river and Pindus Mountains. The occupants of the buildings located atop vertically steep rocks definitely had a rough time climbing down, but so was their climb up. It is an awesome apparition that has the ability to leave you speechless – easily one of the best places to discover in Greece! A gift of the Ionian Sea, Zakynthos might bear a Venetian name but was mentioned by Homer in both the Odyssey and Illiad. This beautiful Greek gem of a place is famous globally for its crystal clear blue waters, golden beaches and intense adventures, especially at night. 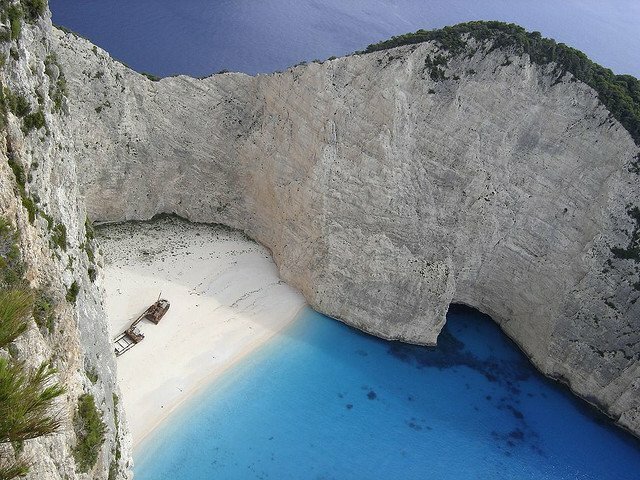 Zakynthos offers lots of scenic outings, especially the Shipwreck Beach of Navagio in a secluded cove, including Banana, Porto Zoro, Kalamaki and Gerakas. Zakynthos Town is home to dozens of museums and an interesting Venetian Castle on the hilltop. Picturesque mountainous villages are scattered across the countryside, including old monasteries easily discovered by car. Restaurants dot the region offering delicious Zakynthos cuisine with notable must-sees such as Solomos Square with the bust of Greek national poet D. Solomos, Strata Marina with lots of restaurants, bars and cafes, Stranis hill for a magical view of the island and remarkable ancient churches such as Aghios Nikolaos, Dionysios, Markos and Pikardiotissa. Adventure and thrill seekers can go surfing or hire a sailboat, trek across the scenic mountainous region, go snorkelling, swim among sea turtles and scuba dive in underwater caves between rocks in crystal clear surroundings. One of the most attractive travel destinations in Greece! The popular Greek holiday island made famous by the novel Captain Corelli’s Mandolin which was set here. This is one of the most picturesque spots to discover in Greece. Although there some development it still retains a traditional Greek way of life. 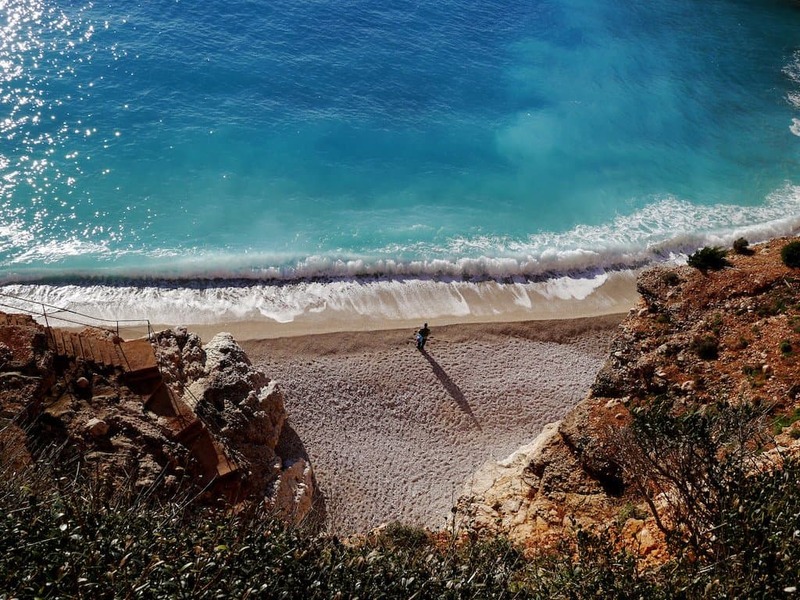 For all those who wish to know what a beautiful beach looks like, just visit Myrtos located on the island. It can be found located in the region of Pylaros, in the north-west of Kefalonia island. 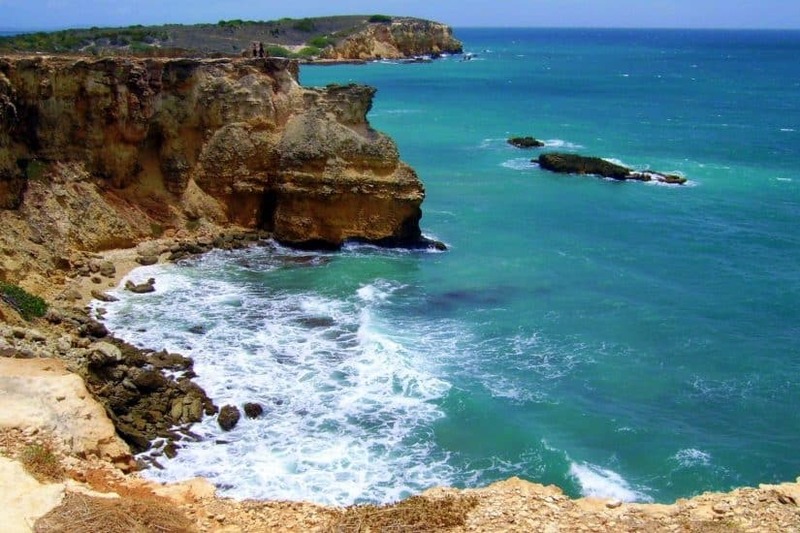 The sheer contrast of the bright blue waters and the sparkling white beach makes an exhilarating scene especially when viewed from the very steep mountains and cliffs. It is the most spectacular Greek tourist attraction for many people, little wonder it receives more than half a million people annually. The Samariá Gorge is a National Park of Greece on the popular island of Crete and a World’s Biosphere Reserve. 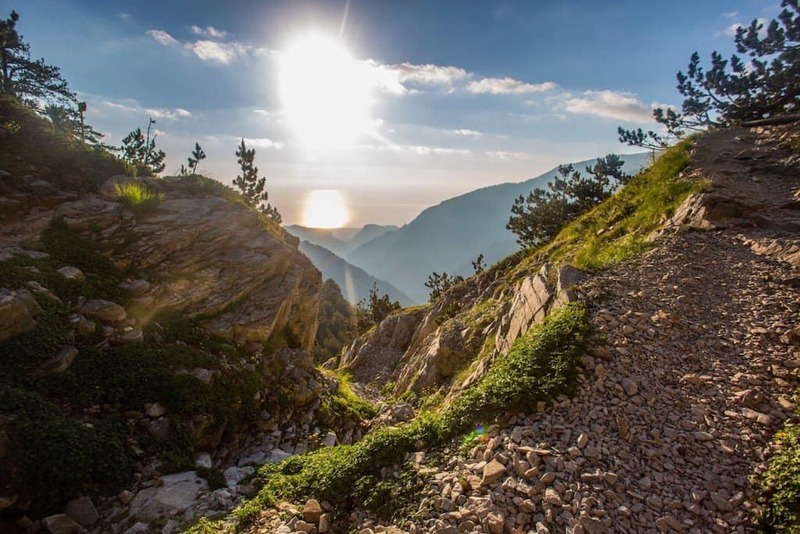 People can take a walk through the gorge and pass by breathtakingly high cliffs along the way before the small coastal village of Agia Roumeli emerges. Rhodes – the largest of Greece’s Dodecanese islands – is another popular holiday island in Greece and although its home to some lively resorts there are still many areas of outstanding natural beauty to discover and explore. Here you can find Lindos and St. Pauls Beaches. Lindos is more popular because of its turquoise waters and the view of the raised white-painted town from the beach. Both beaches are sandy, white and exceptionally beautiful. Agathi Beach is another pretty beach on the island known for its soft sand and emerald green waters. Looking for history? There are many ancient ruins here and also remnants of its occupation by the Knights of St. John during the Crusades. 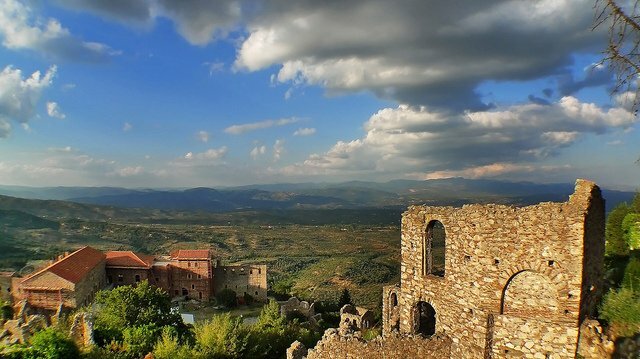 Mystras is a mountainous village close to Sparti, Laconia which are classed as a World Heritage Monument by UNESCO. It is famous for its archaeological site as Mystras used to be a very important medieval town in the Byzantine Era. The archaeological site consists of well-preserved Byzantine churches and a strong Fortress and this popular place to explore in Greece have impressed even the most discerning of visitors. This is an island on the southern side of Greece which is home to the myth-surrounded Mt. Zeus. Relatively undiscovered by the tourist masses Naxos is one of the highlights of travelling to Greece. It’s one the greenest island in the Cyclades with high mountains and fertile valleys. The beaches here are among the most beautiful in Greece – long and sandy and perfect for swimming, water sports and relaxing. The traditional white painted villages and winemaking factory are also another draw as well as port towns filled with whitewashed, cube-shaped houses and medieval Venetian mansions. Delphi is both an archaeological site and a modern town in Greece on the south-western spur of Mount Parnassus in the valley of Phocis. The Delphi theatre was constructed atop a hill facing the beautiful valley in the 4th century and is now classed as a UNESCO world heritage site. Built as the sanctuary and oracle of Apollo, its 35 rows could hold up to 5,000 guests who in ancient times enjoyed plays, poetry readings, and musical events. The stunning historic site in Greece and the sheer beauty of the landscape below easily makes it worth the effort to get to. With a history that goes back beyond 1100 BC and colonized or inhabited by Phoenicians, Persians, Byzantine Empire and Ottomans to Nazis throughout the years, Thasos is a natural beauty to visit and explore in Greece blended by contrasting blue sky and blue sea, green flora and sandy beaches strewn in the most picturesque golden slushes. Lying on the North Aegean region, the Greek island offers an alluring traditional taste and beautiful beaches, excellent hotels serving local cuisine, trails for archetypal hikers and lots of secrets to discover. Nature lovers travelling to Greece with a sweet tooth for the good life will be spoilt by water sports to rewarding footpaths, cascades, ravines to beaches from Hrisi Ammoudia-Limenas, Kallirahi-Prinos to Maries-Prinos. Arrive at Thasos capital Limenas and witness the sanctuaries of Greek gods and heroes from Poseidon, Artemis, Dionysos, and Cassius to Heracles with an incredible view of the Acropolis and a theatre constructed in 5 BC. From scuba diving, water skiing, windsurfing to boat riding, Thasos fun and games extend from its golden sandy beaches such as Marble beach and Chrysi Akti to beach bars, tavernas to Thasos archaeological museum and summer festivals amidst a phantasmagoria of picturesque little villages dotting the island. 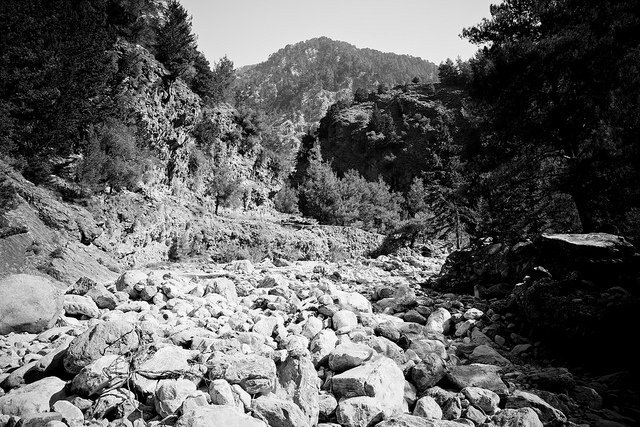 Declared a National Park in 1938, Mountain Olympus is Greek’s highest mountain rising 9,573 feet on its highest peak. The area is popular for stunning and charming features from thick forests, alpine fields, prominent rock peaks and intensely deep gorges. In Greek mythology, Mount Olympus is famous as the residence of the 12 gods of ancient Greece. Olympus is rich in fauna and flora with rare and typical 1700 plant species spread around the region. Due to the popularity of this beautiful area in Greece, numerous campsites and inexpensive hotels have sprung up. Litochoro is the main village easily accessed from Athens by train and bus. The Ancient Dion Archeological Museum at the base of Mount Olympus is a must visit. Mountain refuges, climbing and mountaineering routes are organized for adventure seekers setting off at Litochoro. Private trekking is available too, especially along the Enipeas Canyon with immense hiking trails. Local cuisine is famous for its traditional tastes and scents served with locally produced red or white wine. ‘The eye of the ox’ as Voidomatis is colloquially known due to its blue waters as clear as the blue eyes of the ox runs for 15 kilometers. The river is a famously attractive natural site in Greece and is popular for kayaking, rafting and other diverse water sports. Voidomatis is on top of the list of cleanest rivers anywhere in Europe, powered by the Vikos Gorge and Tymfi water currents and run by the Vikos-Aoos National Park. It’s dotted by diverse stone bridges such as the Kledonas Bridge and Aristi Bridge where kayak and rafting fans meet and begin their cascading adventures down the clear waters. 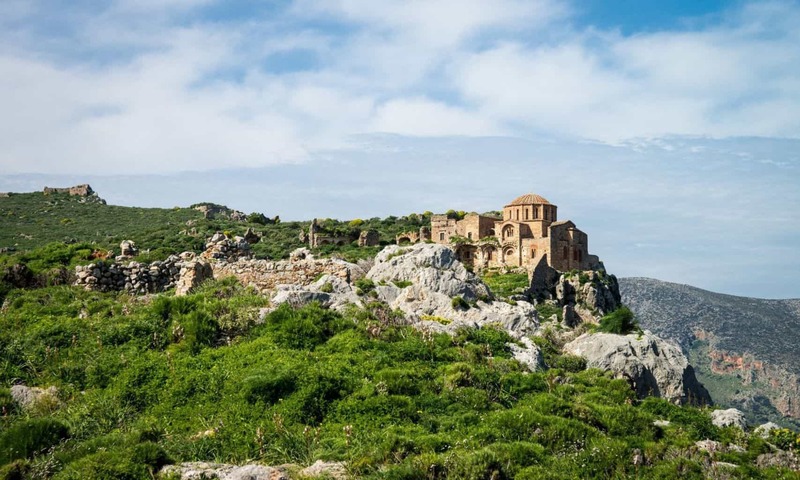 For five kilometers from Aristi, boat riders will be blown away by the Agioi Anargyroi monastery of the 16th century now deserted with caves and upright precipices. Get there via Epirus and make Konitsa, Ioannina or the stone-built charming villages of Zagori your base with lots of beautiful mansions, guest houses and hotels. In Eastern Peloponnese region of Argolis is Nafplio, a romantic Greek seaport town and an earlier capital of the new state of Greece between 1821 and 1834. 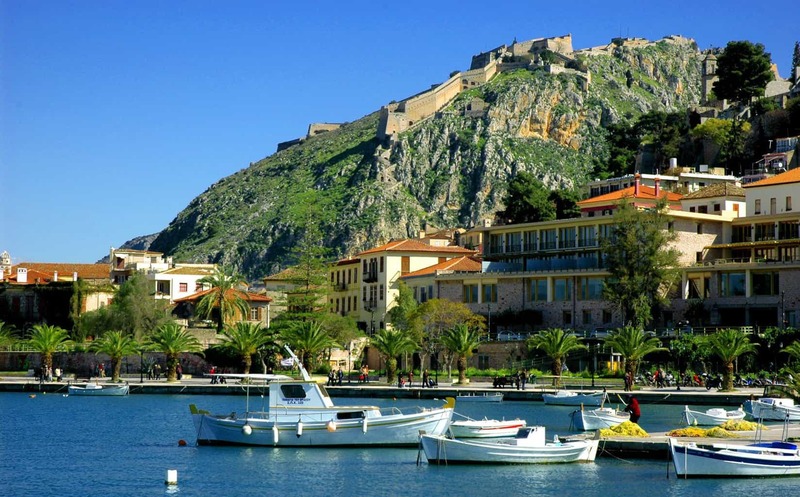 In mythology, Nafplio was founded by Poseidon’s son Nafplios and maintains marks of conquerors since antiquity from Romans, Byzantines and Venetians to Ottomans in the traditions, architecture, culture, cuisine and life of the town. Any visitor to this top Greek travel destination will be awestruck by diverse medieval castles, Ottoman fountains, and ancient walls, statues, and monuments, neoclassical and Venetian buildings. With Athens just 94 kilometres away, bus or car ride will get you there. Make the clear blue sea your backdrop as you discover the Turkish fountains and medieval Old town, preserved neoclassical mansions and narrow cobblestone alleys. Stop by the Syntagma Square and take in the monuments and historic buildings before stopping at the Palamidi Castle standing tall at 216 meters above sea level. Remember to take a boat ride to the Venetian fortress of Bourtzi, Nafplio most photographed plug. Other worthwhile stops in Nafplio include the War Museum, Acronauplia view and clock tower, the Byzantine 12th century church and a view of the open sea and striking Nafplio from the Palamidi. Situated at the heart of bird migration route and flyway on their way to the Black Sea, Hungarian steppes and the Aegean Sea, Lake Kerkini is a flora and fauna miracle artificially engineered in 1932 and easily one of the best naturally beautiful sites to discover in Greece. 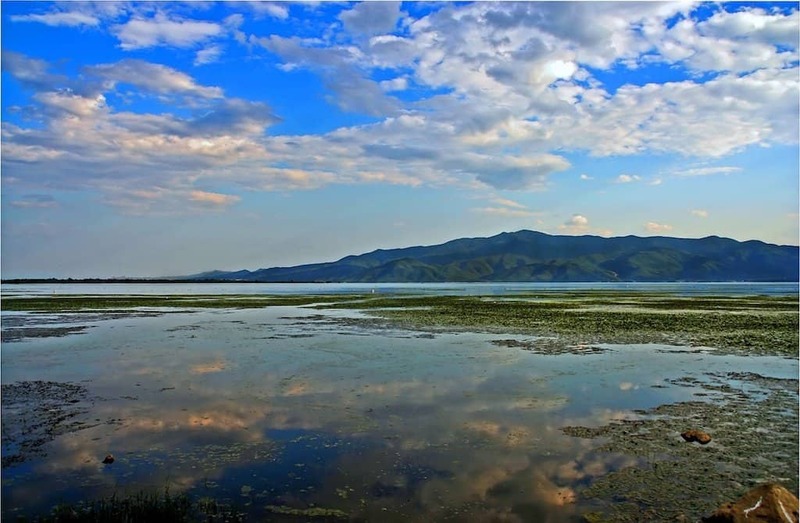 It’s the home of thousands of protected and rare birds, gigantic square meters of water lilies, diverse fish varieties while offering a fantastic vista of the Krousia and Belasica mountains. Apart from hosting over 227 non-migratory birds, Kerkini is also the home of exceptional buffalo herds, over 10 species of amphibians, 19 species of reptiles and hundreds of insect varieties. The extinct-threatened Pygmy Cormorant, Pelicans and heron colonies can be seen in the reclaimed marshland. Situated in Serres with Thessaloniki 100km away, Kerkini is a birdwatcher’s paradise in autumn and spring and any day throughout the year. The reclaimed reservoir is also famous for romantic traditional plave boat rides, horseback riding, canoeing, 4×4 off-roading, biking and hiking along the mountain range footpaths. Monemvasia Fortress is located along the Peloponnese east coast with the first settlement traced back to 6th century and is one of the most dazzling historic sites to travel to in Greece. A gigantic Byzantine fortress and superb beaches nearby open to locals and tourists are conspicuously prominent. The rugged beauty is a refined refreshing escape for anyone and a perfect place to spend idyllic and refreshing days tracing Ottoman, Venetian, Frankish and Byzantine influences across the town courtesy of its impressive history and architecture almost every place you step on. Kastania Cave is arguably the islands’ iconic attraction formed millions of years ago with lots of rare geological marvels, including a church and café close by. Monuments worth visiting include Upper Town’s Church of Aghia and Lower Town’s Church of Christ Helkomenos and Church of Panaghia Myrtidiotissa. In northwestern Greece in Epirus is the Zagori municipality in the mountainous region of Pindus. 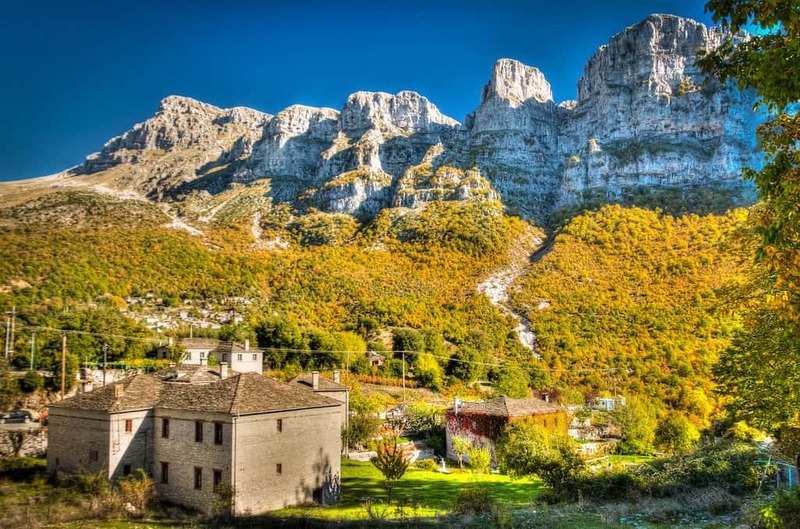 Zagori is iconic for its remarkable geology, dazzling natural beauty and two popular National Parks. Zagori is dotted with over 46 villages interconnected with modern roads. 18th century stoned arched bridges still stand. Easily one of the most unspoilt and attractive gems to visit in Greece, the regions beauty comes alive while walking across the divine Vikos Gorge from the Astrakas Mountaintop to the cascades of the Voidomatis River over a backdrop of Mt. Timfi. 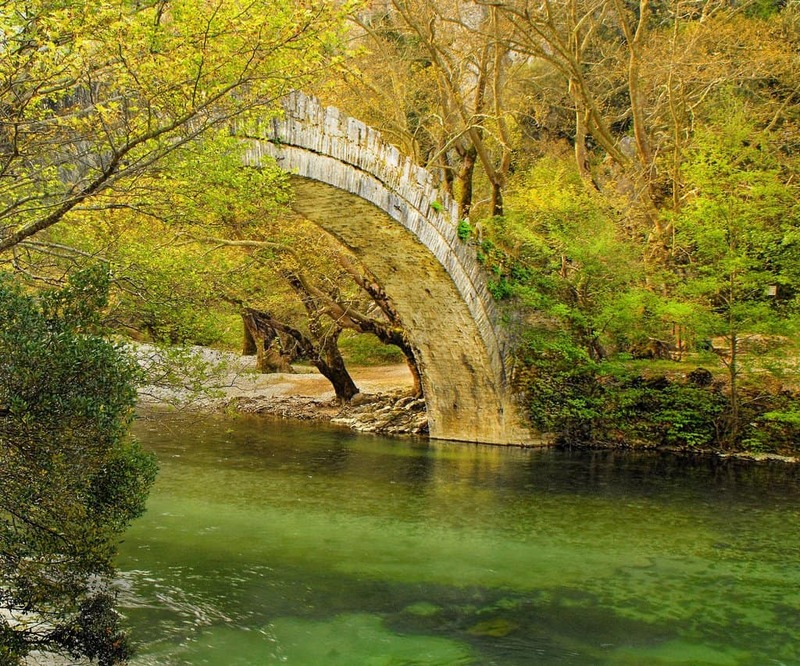 Scenic surroundings in Zagori include the stunningly gorgeous Drakolimni alpine lake, zagorohoria village gems of extreme beauty and traditions and the Kalogeriko stone bridge. Hidden heartthrobs to discover include the swimmable Ovires natural waters in summer, 15th century Agia Paraskevi monastery and a spectacular melancholic view from the monastery of Spileotissas on the Viodomatis River. 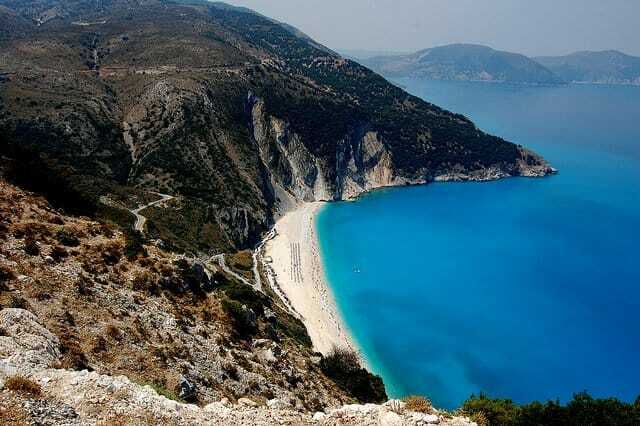 One of the must-see attractions in Greece this is an island in the Ionian Sea, Lefkada can be found towards Greece’s west coast and connected to Greece mainland through a floating bridge and causeway. In Greek mythology, the island is remembered for the Cape Lefkada suicide of Sappho with links to Odysseus and Aphrodite. One of the few Greek islands you can actually visit by car, its crystal blue waters and golden beaches are a visitor’s heaven and are often said to be similar to the Caribbean. It’s full of fish taverns and lovely villages contrasting with its lush green surroundings. Egremni, Kathisma and Porto Katsiki beaches are perfect photography spots while the Panagia Faneromeni monastery and Nidri waterfalls are a must-see. Don’t miss the strong and prominent Castle of Santa Maura along the sea lake waters built in early 14th century. 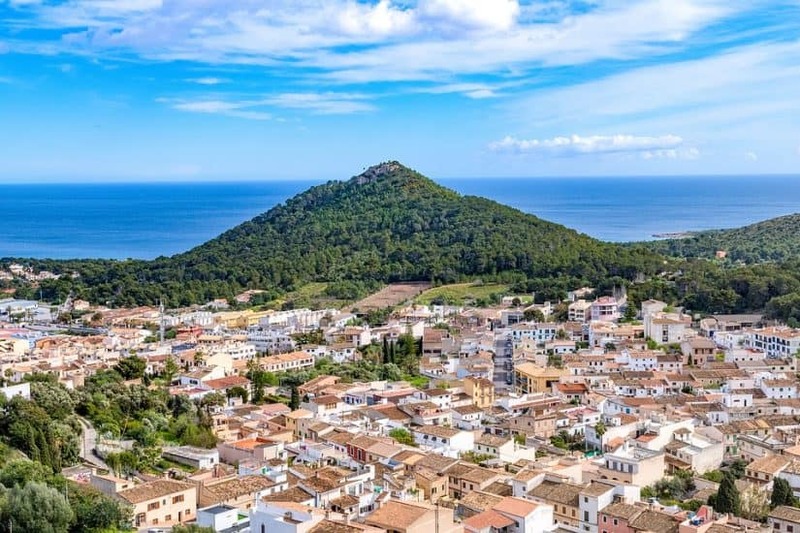 Romantic and charming island to spend a few days discovering the timeless villages concealed by wild olive groves and hills, it has spectacular inlets and little bays towards the south with perfect conditions for windsurfers and kite surfers. In Greek mythology, Zeus was disgusted when Titans partook of the Acheron waters and thus condemned the pristine waters to eternally remain below the earth-thus the Acheron Springs in their fullest splendour. 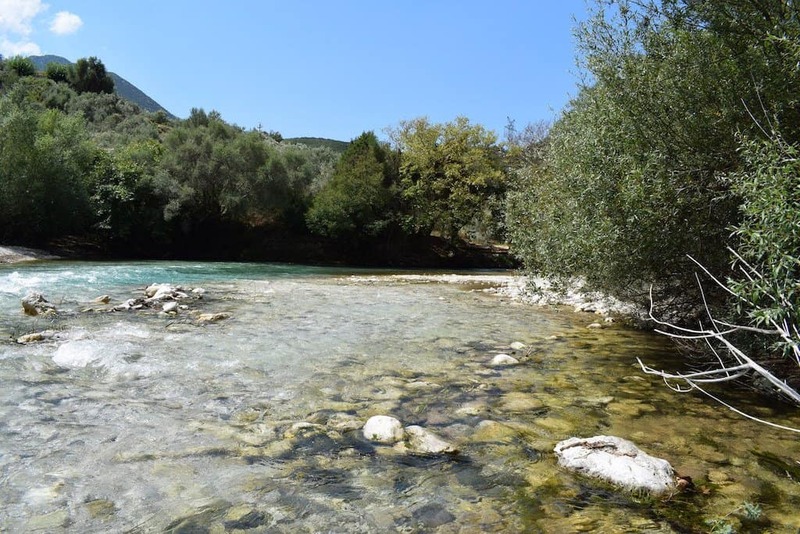 Acheron River springs are located off the Glyki and Kanalaki villages bordering Preveza and Thesprotia. Its crystalline waters and rich flora make for stimulating surroundings with water pits and lakes along the river in areas of normal water flow. Apart from assured peace and tranquillity and lovely restaurants, this is a fantastic destination to see in Greece and along the river are pathways for hiking and rafting adventures. The landscape is itself hilly and green with surrounding elm and oak trees. Discover why ancient Greeks believed Acheron to wield the gates of Hades by taking an unforgettable dip in the extremely cold crystal clear waters. Written by Boris Dzhingarov. 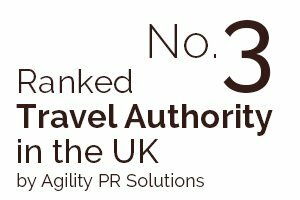 Boris is an experienced traveller and loves writing about his own travel experiences. 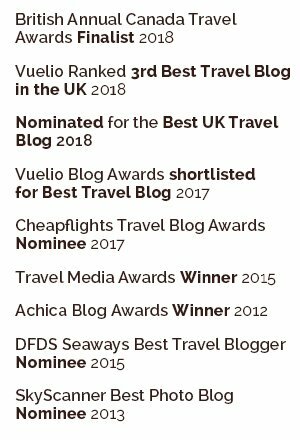 Aside from Greece one of his favourite destinations is Spain (as his Danish friends say Spanien) and he recommends comparing different trip offers before deciding. Loved the most beautiful places to explore in Greece? We also have 10 of the best Greek islands for travel snobs. So many great destination ideas! Even though I have already had mine, I still like to get to know some nice destinations, even for holidays with my wife. I would also add one more place that we really like to visit, USA. 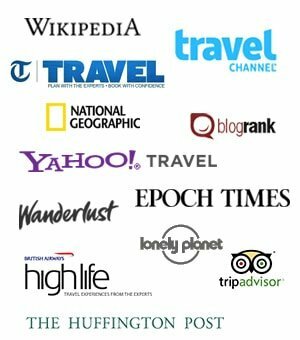 just wanted to say that there is a santorini weather guide that might be useful to travellers there. Yes, please. This summer if possible. i’m dying to get back to Greece. i’ve never seen such beautiful blue skies or gorgeous sunsets. Mykonos is calling Lola’s name! Love Greece, can’t wait to spend more time there! I’ve wanted to visit Meteora ever since I found out about it, seems so cool. Had a great time in Tessaloniki a few years ago, definitely recommend adding it to the list! “breathtaking sights of the ocean” – cute 🙂 actually Greece is quite far away from any ocean. Anyway nice list. Santorini is definitely must see!! Mikonos is also nice. Naxos is more insider tip, not a lot of tourists there! 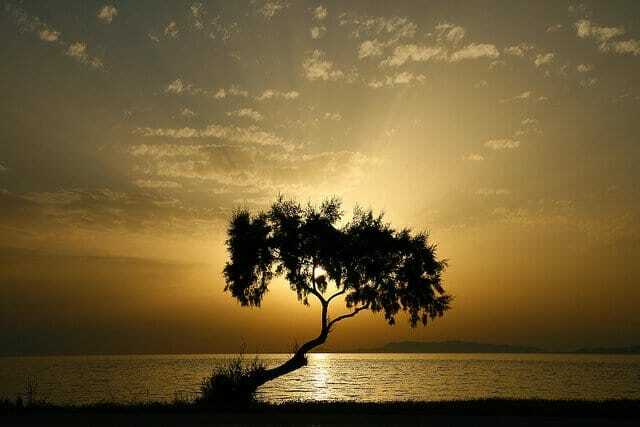 Nice picture and beautiful place! I have a chance to go to Greece next month, I hope I have the free time to visit all these amazing places. wow its an amazing place. Visiting Greece provides an opportunity to examine the culture that provided many of the threads woven into the fabric of Western Civilization. However, don’t make the mistake of thinking that visiting Greece is like a tour through a dull, crumbling museum. Greece is a spectacular and scenic country whose inhabitants know how to live life to the fullest. Is there anywhere in Greece that isn’t picture perfect? 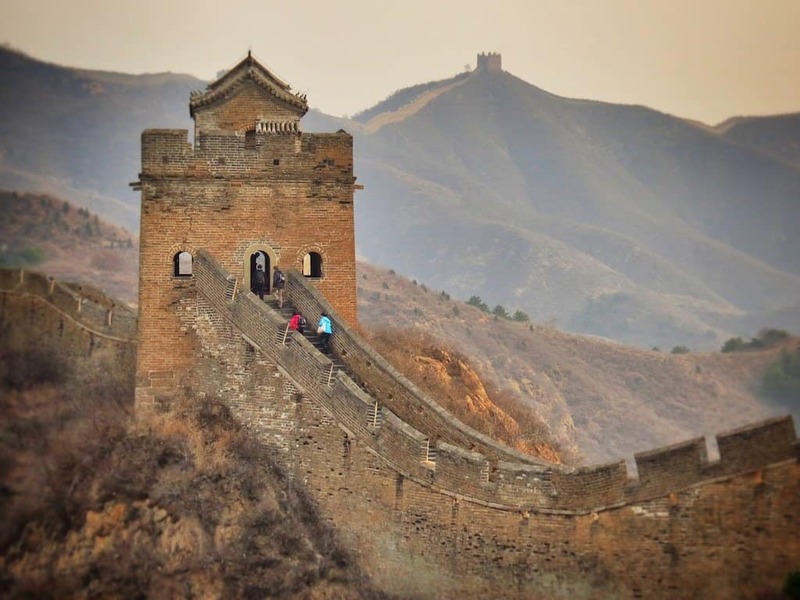 Every one of these photos provides inspiration to travel. 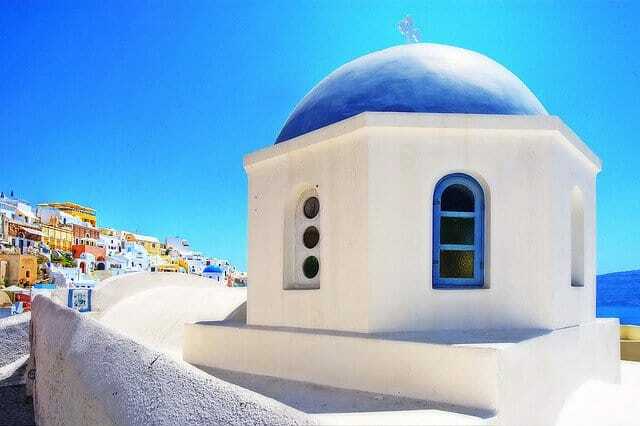 The architecture of Santorini reminds me of Casa Pueblo in Punta del Este, Uruguay. 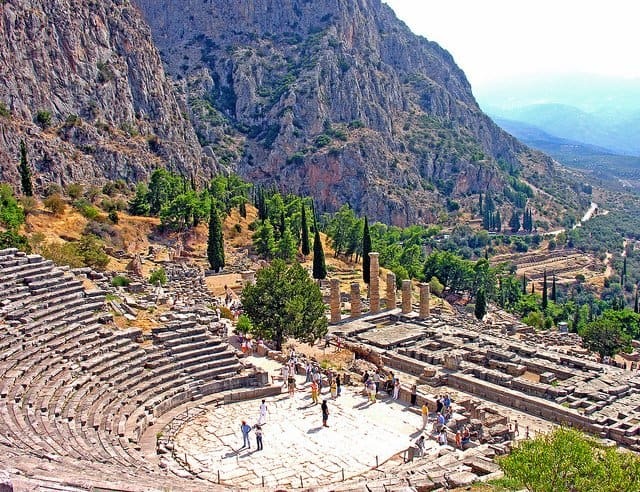 I’ve been amazed with Delphi Theatre in Phocis Greece. I wonder what happened at that place many years ago. 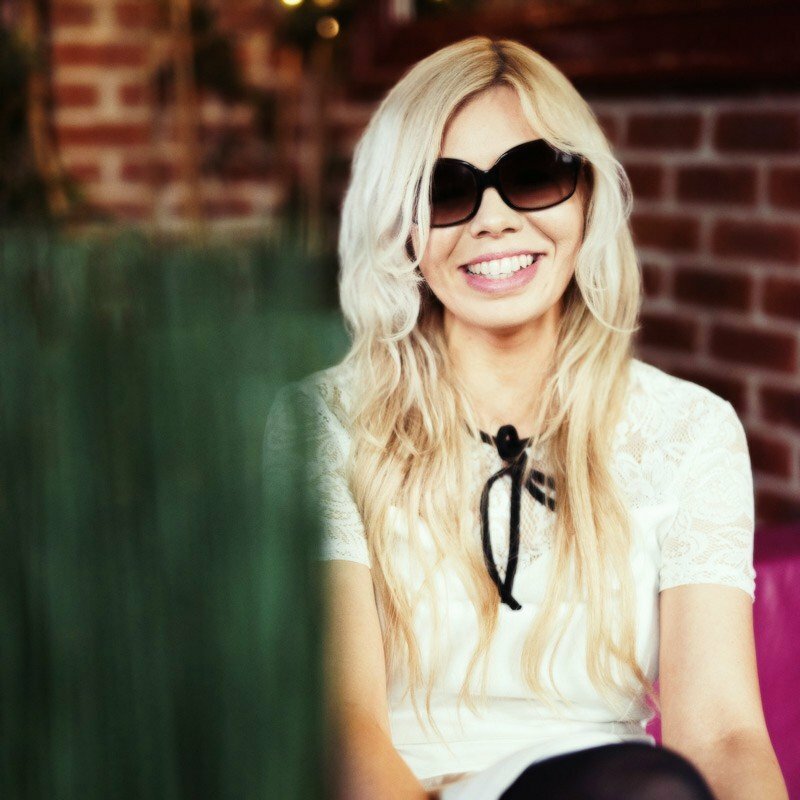 I imagine great plays, poetry readings and musical events being presented. People watching were applauding for superior presentations. Your list is amazing. What I like the most among them is the Meteora Kalabaka, Greece. Great to know that these six manasteries site is recognized by UNESCO. By just looking at your photos, it’s like inviting me to visit each one. These are great! Naxos is my favourite Greek island (that I have been to). I just love the cobbled alleyways and the harbour in the centre and, of course, the beaches are absolutely stunning!